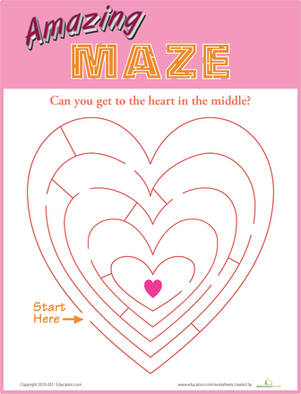 Here's a silly maze that's sure to please. 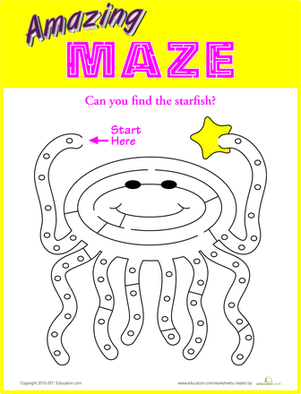 Can your child find her way through the friendly octopus maze and get to the starfish on the other side? 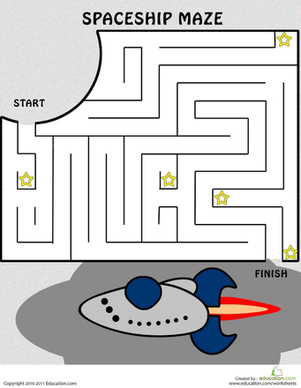 As she works, she'll use her reasoning skills and boost hand-eye coordination, too. 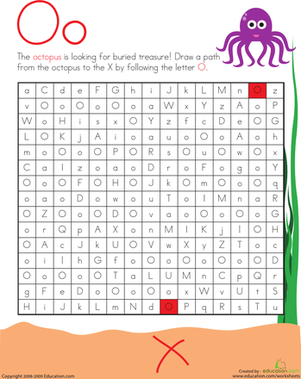 Kids help an octopus find treasure in the O maze on this kindergarten reading worksheet. 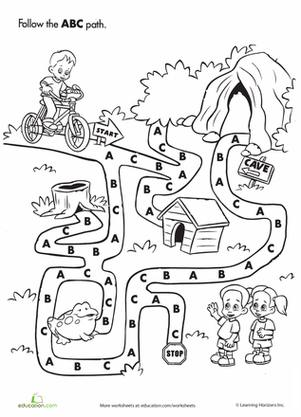 They draw a path from the octopus to the X by following the O's. 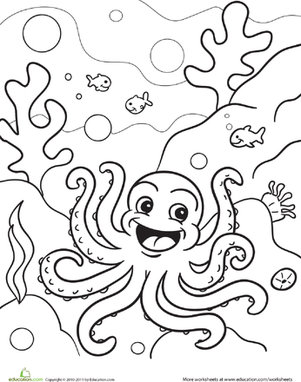 Kids can color this octopus librarian and use their imaginations to give titles to each of the books.